1 Thessalonians 2:12 we exhorted each one of you and encouraged you and charged you to walk in a manner worthy of God, who calls you into his own kingdom and glory. James 1:22-23 But be doers of the word, and not hearers only, deceiving yourselves. For if anyone is a hearer of the word and not a doer, he is like a man who looks intently at his natural face in a mirror. One of the hardest things for most believers to do is to have a consistent daily time with God. 1 Samuel 1:19 They rose early in the morning and worshiped before the LORD; then they went back to their house at Ramah. And Elkanah knew Hannah his wife, and the LORD remembered her. 2 Chronicles 29:20-21 Then Hezekiah the king rose early and gathered the officials of the city and went up to the house of the LORD. And they brought seven bulls, seven rams, seven lambs, and seven male goats for a sin offering for the kingdom and for the sanctuary and for Judah. And he commanded the priests, the sons of Aaron, to offer them on the altar of the LORD. Job 1:5 And when the days of the feast had run their course, Job would send and consecrate them, and he would rise early in the morning and offer burnt offerings according to the number of them all. For Job said, “It may be that my children have sinned, and cursed God in their hearts.” Thus Job did continually. Hebrews 13:15-16 Through him then let us continually offer up a sacrifice of praise to God, that is, the fruit of lips that acknowledge his name. Do not neglect to do good and to share what you have, for such sacrifices are pleasing to God. The only way to get to know someone intimately is to spend time with them. If you are married, think of when you were dating your now husband or wife… If you are like most people, when you are first getting to know someone you desire to spend every free moment together to get to know them as good as you can and if your marriage is healthy, that thought should last for your entire life together. The same is true in our relationship with the Lord. Hopefully, you want to read His words to you and to meditate on not only their meaning in Scripture, but there relevant meaning to your life today. God’s word is powerful and will give us the peace that passes all understanding. My prayer today is for you to again (or maybe for the first time) for you to fall in love with the words of God (the Bible). May you desire to hear from God today and each day of your life. 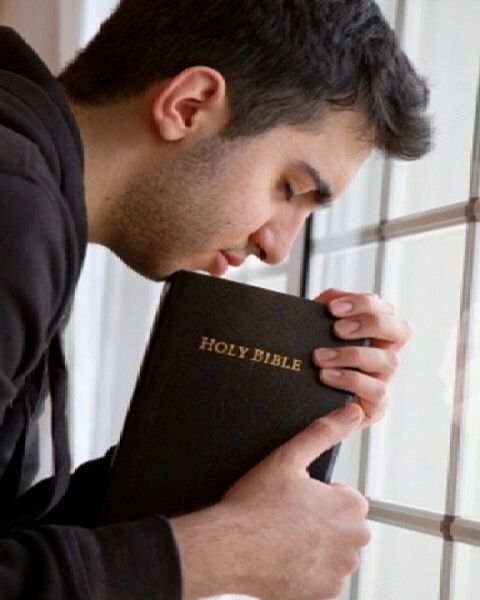 Related reading: How Do I Meditate on the Word of God? Previous post: Can a Christian Be Angry At God?